What should you do if you turn green? Or find a million pounds? (Spend it on pizza?) What’s it like to be the first kid in space? Chances are, you’ve never even wondered. 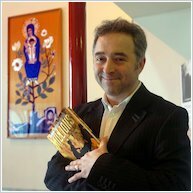 Which is exactly why you need to read these funnies by Carnegie-winning genius Frank Cottrell Boyce. Expand your brain and start laughing loudly! Superheroes (and not-so-super ones). Art thefts in reverse. Aliens from outer space. Huge sacks of money. Real magic – and the magical bits of the plain old normal. 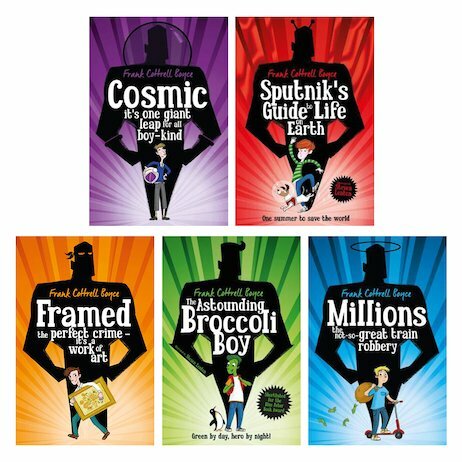 Frank’s warm and witty books highlight the wonder in everything. Wave goodbye to boring. Say hello to awesome!